It’s a question that plagues even the most experienced athletes and bodybuilders. How many reps should I be doing? The question is on the mind of every beginner who’s setting rep ranges based on personal goals. However, the question is more prevalent in experienced lifters, who, after years of training, no longer see the same quick results and goals are attained slower. Why is it then, that certain rep ranges no longer stimulate the muscles to the degree that they did in the beginning? One key explanation is that your body has adapted to motion of the movement, over the physical exertion of that movement. For example, your body becomes more efficient and adept at performing the function that is replicated by the bench press, but no longer needs to increase the amount of muscle to the same scale as when it was first adjusting to the lift. Muscle control, reaction times, bone density, tensile strength and growth of supporting joints, muscles and tendons (rotator cuffs and subscapularis tendon etc) are all factors that improve your lifting at the same time, negating the need for the body to ‘force’ itself to grow new muscle that was simply necessary in the beginning. As you may have noted, the expression ‘beginner gains’ epitomizes how time has this effect. A beginner can put on kilos of weight in a year simply by committing himself to 4 gym sessions a week, with seemingly little focus on specific rep ranges or exercises, so long as the main muscle groups are suitably fatigued by the end of the session and that the quantity of food is increasing as weight increases. These seem to be the *only* factors, but fast forward a year, and that increase drops dramatically. It’s no longer a matter of just training, but how, when and what we train, and we’re not even going into the influence of diet here. But for years after this adjusting period, even the most experienced athletes still find themselves working in the middle ground ‘hypertrophy’ training territory, often having a go to rep routine. This is damaging to any goal milestones. This guideline could be useless for those who have been training for more than 3 years, and whose muscles have simply adapted to this form of overload. Again, we all have a unique somatotype (endomorph, ectomorph, etc) and each of us responds to certain weight and repetitions differently. You might be someone who responds extremely well to high rep or low rep 5*5 strength training, but have been doing 10 reps for fear of losing what you’ve got. It is a rookie mistake to assume that you’re only going to achieve growth through the 8-12 rep range. If you’ve been in the gym for years and this is your ‘default’ rep range, then you’re missing out on some serious improvements. For optimal muscle growth you’ve got to stimulate the muscle as much as possible into needing to repair itself and increase protein synthesis – sometimes that is better achieved by doing 18 reps rather than 10. Let it be known; you can build considerable muscle on these higher rep sets. Bodybuilders and athletes will tell you that these three factors can have a more profound effect on muscle growth than weight alone and that bigger weight, bigger muscles is true, but only to an extent. TUT (Time under tension) – There’s a fine line between Time under tension and the number of reps. You’ve got to make sure that you use a weight that’s heavy, but that can be controlled on the eccentric movement. This increases the muscles time under tension which is required for growth. Ever banged out 10 reps of big weight on the bench but simply hit a wall at 11 and don’t feel like you’ve actually done anything? This is because you’ve just worked out that big list of secondary muscles and utilized your secondary arsenal to lift the weight, but the muscle has had relatively low TUT. Lower the weight and lift in accordance with the third factor, speed. Contraction – Squeezing the muscles and focusing on the muscles as you do the movement. Even focusing on the muscle you’re using will cause you to utilize (note the word utilize and not isolate) it more. This fills the muscle with blood and builds more static strength and muscle. Think about tug of war, your muscles are sore, but you’ve done no reps, just contracted the muscles hard. Speed – Activate the fast twitch muscle fibers as well as using good form, slow on the way down, powerful on the way up. So how should you implement better rep ranges? Do a month of high rep training and see how your body responds, even if you have relatively little surface improvement, you’ll still have succeeded in shocking the endocrine system and will be able to make better gains once you’re back on your ‘standard’ training routine. So don’t worry, it’s not a waste of time and you can consider it a good investment of two months. Then return back to a month of your normal rep routine, and experiment with low rep weight training. We’re talking heavy powerful compound lifts for 2 months. If you respond well to high rep training, then don’t stop after two months, if that’s what works best, you can easily continue to make improvements for a many months before you need to ‘re-shock’ the muscles. 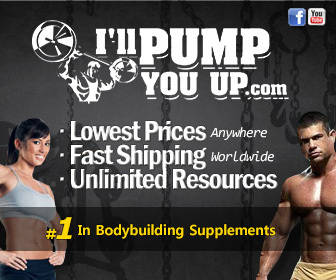 Keep up to date with Bulkingbro.com by liking us on facebook or Twitter. Previous story 100 Rep Sets For Stubborn Calves. Trapezius Essentials – How To Turn Your Traps Into Mountains Of Muscle. Shocking The Chest For Greater Gains – An Insight From The Experts. Skinny Calve Syndrome – How To Solve It And Build Big Calves.